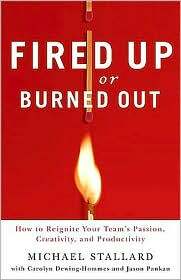 Free Book: Fired Up or Burned Out by Michael Stallard. Connection is part of the center of the Zinger Employee Engagement Model. 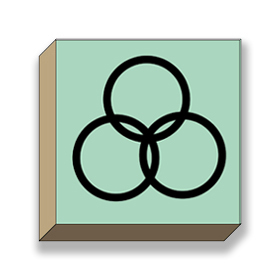 Click here to see the full model and explanation. Connect. A central key of employee engagement is connection. In some ways connection is synonymous with engagement. How well are employees connected to the other elements of engagement ranging from their organization to genuine happiness? Connect starts the central keys of CARE embedded in the employee engagement model. It is my honor to offer members of the employee engagement network and readers of this site a free copy of Michael Stallard’s 250 page book: Fired Up or Burned Out: How to Reignite Your Team’s Passion, Creativity, and Productivity. I think this is one of the top 10 books in the whole field of employee engagement. Click the book or link below to get the PDF version of the book. I have to admit that the cover and title did not grab my attention but when I started the book, I could not stop and was enthralled by the focus on connection — creating an environment where people feel connected to one another, to their work, and to the larger mission of the organization. Michael, thank you for agreeing to this interview about employee engagement and your book, Fired Up or Burned Out: How to Reignite Your Team’s Passion, Creativity, and Productivity. Q: Can you share with the readers why you decided to write this book at this time? A: I discovered something that I thought would be valuable to everyone who works in organizations. It all began when I was chief marketing officer for the private wealth management group at Morgan Stanley. During that time, I was interested in motivating the team I led and in improving the client experience by firing up people on the front lines who worked directly with clients. I knew that culture mattered. As a former investment banker, I had observed great and not so great company cultures. My experiences and research led me to believe that the only culture that produces sustainable superior performance is a “Connection Culture” in which people feel connected to their work, their colleagues and their organization. Q: When I picked up the book I thought it was going to be full of motivational platitudes and team trick’s for leaders. It wasn’t that at all. It was about authentic and genuine connection to others, our work, and our organization. What does connection mean to you Michael? Q: Can you give us an example of someone who really connected with you at work and made a difference? A: John Straus, former head of the private wealth management group and my first boss at Morgan Stanley, was great at connecting with me and I in turn felt a strong bond with my management team colleagues and with the people in the marketing department I was responsible for leading. John gave me the authority, resources and autonomy necessary to get the job done. We had a strong Connection Culture, it fired us up and as a result we doubled Morgan Stanley’s private wealth management business over a two and a half year period. Q: Who are you working at connecting with currently? A: First of all, I’m always mindful of staying connected with my family members and friends. I meet each Saturday morning for breakfast with a group of good friends. I also meet most Wednesdays with a different group of guys for lunch. Being around these friends energizes, challenges and encourages me. I’m also actively connecting with people at our client companies and the non-profit organizations I’m involved in. Because I’m an “achievaholic,” I wasn’t intentional about connecting with people in the past. I had deadlines to meett and deals to close. Now I am intentional about connecting and it’s made me happier and more satisfied with my life as well as more creative and more productive. Q: Your book is full of powerful stories, experiences, and examples. What do you most hope the reader takes away from this book you wrote with Carolyn Dewing-Hommes and Jason Pankau? A: We want people to understand the tremendous effect connection can have, individually and for the organization, and become intentional about connecting with co-workers, family and friends. I believe that achievaholism is widespread today and it’s sucking the life out of people. We need to connect with other human beings and when we don’t, there is a price to be paid. Absent connections, our physical and mental health suffer. With abundant connections, we thrive. Life at work can be as satisfying as life outside of work if we create Connection Cultures. Q: Can you explain what you mean by Knowledge Flow in the book? A: Knowledge Flow is one of the key elements of a Connection Culture. It exists when people freely share information, ideas and opinions. In cultures with a high degree of Knowledge Flow, people feel their opinions are sought and considered. They feel valued and more engaged because of this. A high degree of Knowledge Flow also creates a robust marketplace of ideas that fuels innovation and helps decision makers become better informed and therefore make superior decisions. Q: In Part 4 of the book you profile 20 great leaders from a variety of times and settings. Can you mention one leader from this section and one thing you learned by studying that leader? A: This may surprise you but I think Warren Buffett is a great leader although most people don’t think of him in that way. When you study him closely and meet him, as I have, you see that he embodies a passion for excellence in business and he cares for people. It’s this combination in a leader that brings about both task excellence and relationship excellence in organizational cultures. Buffett is confident but not at all egotistical. He is driven to build something great rather than be the center of attention. Of course, he gets a lot of attention but he doesn’t seem to seek it. His passion is building Berkshire Hathaway and doing so in a way that’s fair, honest and good for society at large. Q: Michael, you are very open about what you learned at Memorial Sloan-Kettering Cancer Center in New York City in 2004 as your wife went through cancer treatment. How did that influence your views of work and how is your wife, Katie, today? A: My wife was diagnosed with breast cancer in late 2002 and advanced ovarian cancer in 2004. Today, she is in remission and feeling fine. The Connection Culture we experienced at Memorial Sloan Kettering Cancer Center (MSKCC) in New York City made us feel that we were more than just a number. The doctors and staff cared for us and we could see they cared for each other and for their cause, which is “to provide the best cancer care, anywhere.” The place had a great buzz of positive energy and it’s one of the leading cancer centers in the world. Watching them opened my eyes to the power of connection. Furthermore, the extraordinary support we received from friends and family members was enlightening to me. Amazon.com just published the story I wrote about it entitled “Alone No Longer.” It was a life-changing event for me that led me to dedicate my life to increasing connection in the workplace and in society.